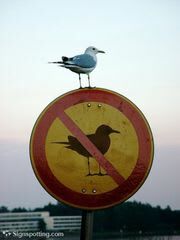 He flies in the face of authority. South Africa. 世界中の面白いサイン勢ぞろい。こちらをクリック。 "　funny signs from all over the world "